He's been in India barely four months, but Nilesh Patel dons his fatigues and heads out incognito, taking stock of what's cooking in the marketplace. As the freshly anointed managing director of the Rs 400-crore Heinz India, he wants to pull out the $8.4 billion American foods major H J Heinz Co's outpost out of the cans. Patel, who was earlier sent to India in the 1990s to kickstart Heinz's tomato ketchup plant in Bangalore, now wants to change its slothful image. He wants to double turnover in three years. Armed with a battery of fresh talent, he wants to leverage his existing products of Complan milk beverage, health drink Glucon-D, infant food Farex and Nycil prickly heat powder at different price points, besides extending the Heinz ketchup range, make inroads into the rural market, spruce up distribution and marketing, and make India an export hub before he dips further into the Heinz basket. Patel, who has moved in from Heinz Singapore, is a man in a hurry. That's because, despite setting up shop in the country exactly a decade ago, by acquiring the consumer products division of pharma major Glaxo in 1994, sales have stagnated, and it has done little to unfurl products from the global basket. The parent company's almost 4,000-strong brand buffet includes global blockbusters as the eponymous infant food, sauces and condiments. This time though, the challenges are different. But Patel is optimistic. "The last 10 years were indifferent. We are not looking back but we see the next 10 years very positively in India and our company," he says. For starters, he is banking on two of Heinz's most profitable products -- Complan and Glucon-D. Like most fast moving consumer goods companies, he has hooked on to the sachet parade. Smaller pack sizes of Complan and Glucon D priced at Rs 5 and Rs 3, respectively, hit the market two months ago. 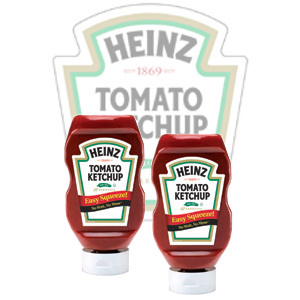 According to K Dasharatharaman, director, sales, it helps Heinz kill two birds with one stone. Not only do the smaller packs help Heinz penetrate rural markets, it attracts aspirants who earlier wanted to use the products but couldn't afford them. "We have launched sachets in selective markets to explore opportunities in this segment," adds Patel. Then, to get more children to drink its Complan, a new aramel-flavoured variant has hit shop shelves. Even Glucon D now comes in a trendy sipper. But Patel will need much more than this to clean up Heinz's plate. Says one marketer, "Heinz needs that one spark that will create an impact in the market. It's like they are still adapting to the Indian marketplace." That may be true. While the Glaxo products, which it acquired for Rs 210 crore, gave Heinz a strong toehold in the market, marketing analysts say that the products on their own were not enough for the company to grow. Take Complan, which contributes 40 per cent to Heinz's sales. The milk or malted beverage category has been fairly stagnant at Rs 1,200 crore over the last three years. GlaxoSmithKline (GSK) with four brands in the category -- Horlicks, Boost, Viva and Maltova -- has a 70 per cent volume market share. Compared to this, Complan's share is 13 per cent, according to retail audit unit ORG Marg. Now Patel is hoping that his sachet strategy stirs the broth. Today, while a 500 gm pack of Complan retails at Rs 120, the 12 gm sachet comes at a mere Rs 5. "Consumers will at least consider sampling it," he says. So, the new communication for Complan is geared towards not just convalescents but as a nutritional drink for adults, and it is highlighting the ingredients to reinforce the product benefits. Complan isn't the only one wooing a younger audience. In the last six months, even GSK's Horlicks was repositioned as a fun drink to appeal to the youth. And though Horlicks and Boost have been traditionally sold in the southern and eastern markets (80 per cent of sales comes from these milk-shortage zones), today GSK is looking at boosting sales from the northern and western markets as well. Also, the only direct descendant from Heinz is the tomato ketchup launched in 2000, six years after entering the market. Heinz tweaked the global concoction to suit Indian taste buds, but even that wasn't palatable. To begin with, Heinz got the pricing completely wrong, say retailers. Competitors like Nestle's Maggi and Hindustan Lever's Kissan were selling 500 gm bottles of tomato ketchup for Rs 55 and Rs 49 respectively. Heinz's premium offering carried a Rs 65 tag for the same quantity. This too in a scenario where consumers were downtrading to cheaper options. So while Maggi and Kissan had market shares of around 35 per cent to 40 per cent each, Heinz trickled to under five per cent in volume terms. Also, unlike competition, Heinz with its mandatory tomato ketchup lacked variants. Patel has now changed that. Today, prices of the 500 gm bottle are down to Rs 39 and a chilli tomato variant has been introduced. He claims there are more flavours on the burner. It's the same story with Glucon D and Nycil which were largely seasonal products, selling in the summer months. Today Nycil has been repackaged and the perfume tweaked to appeal to consumers throughout the year. Even Glucon D has shed its health tag and repositioned itself as a fun drink. Patel and team are exploring ways to broadbase their usage. However, all of this is backed with major changes in the organisation as well. Ex-employees of Heinz say that the working environment was fairly bureaucratic. "Speaking out or taking decisions on behalf of the firm without the consent of higher authorities was looked down upon," says one ex-employee. Adds another, "One couldn't question the rationale behind key marketing decisions." For example, in 2001, Heinz launched a slew of new products -- coffee flavoured Complan, and Complan and Glucon D biscuits -- without any test marketing. The ready-to-drink Glucon D and coffee Complan failed miserably and were phased out. And today, while Complan biscuits are still available, Glucon D biscuits are sold only to institutions. Also, Heinz had the legacy of 900-odd Glaxo staffers who came on board post-acquisition. Despite a thorough search -- HLL's current chairman M S Banga and Colgate's erstwhile managing director N Jayaraman were strong contenders -- Heinz finally settled for old Glaxo hand Pradeep Poddar. After running the show for eight years, Poddar is now a non-executive board member. Patel, an 18-year Heinz veteran is now focussing on the road ahead. Apart from encouraging an open door policy, he is empowering people down the line. Also, in the last couple of years, Heinz has armed itself with experienced people. Today, except for Patel, most of the top management in Heinz have been there for barely four years. For example, vice president marketing N Thiruambalam came in from SmithKline, finance director Ashok Barat is an ex-Electrolux man, and director sales K Dasharatharaman was last with cigarette major ITC. The company is now finally getting its systems in place. Earlier, despite having a fairly lean distribution system, Heinz had no idea where its 1,500 odd stockists were selling the goods. "The system worked more on push rather than the pull of products," says V Mohan, general manager -legal affairs and company secretary, Heinz. Today, 95 per cent of the stockists' distribution and sales are monitored. "We are working in partnership with the trade. They grow, we grow," adds Patel. But the big question everyone is asking is whether Patel will be able to achieve the ambitious targets he is setting. Already, imported foods are jostling for space on shop shelves. Then, HLL too wants to expand its Knorr range of soups and condiments. Patel knows what he is up against. Once he spruces up his platter, he wants to serve India with Heinz's meals and soups. "The challenge for food companies is to get the consumers to experience packaged foods by delivering taste and nutrition," he says. But for now, he has enough on his plate.